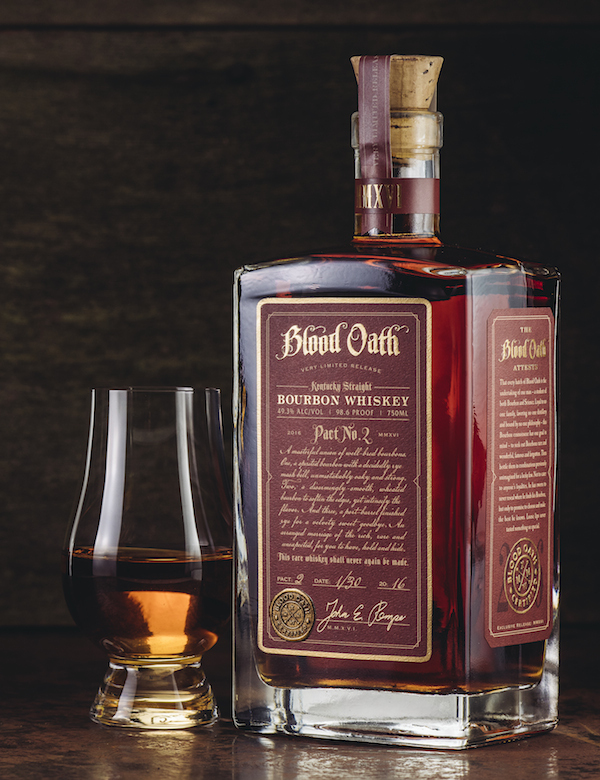 Luxco tells BourbonBlog.com that they are releasing Blood Oath Pact No. 2 – the second expression in the limited release series. Only 22,500 bottles at 98.6 proof available in the United States in 750ml bottles, with a suggested price of $99.99. This union of 7 to 11 year old Bourbon lended and bottled by hand for a distinctively exclusive and unimagined Kentucky straight bourbon whiskey. The first, a 7-year high-rye bourbon finished in port barrels, is joined by an 11 year wheated bourbon and an 11 year high-rye bourbon. “Pact No. 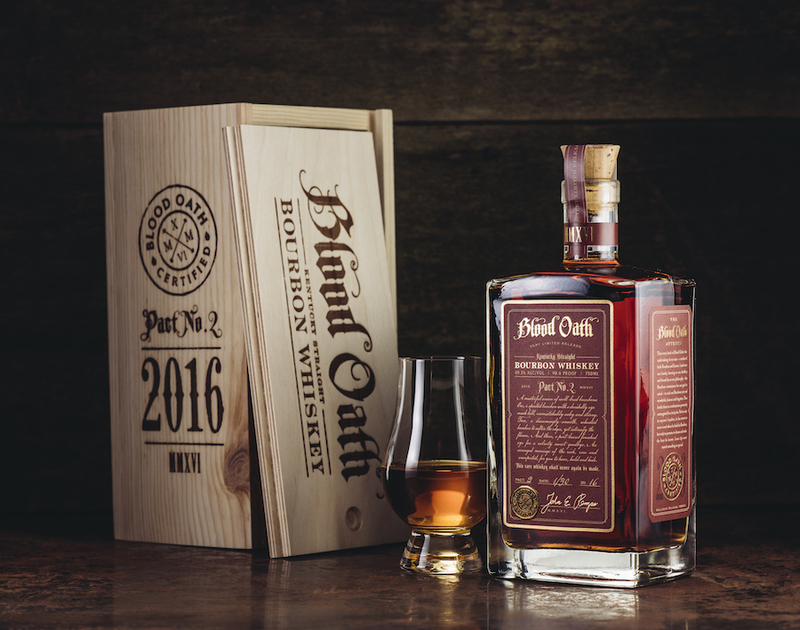 2 is a rich marriage of three carefully selected bourbons, hand blended and bottled for a unique combination and exceptional taste,” John Rempe, creator of Blood Oath and Director of Corporate Research and Development at Luxco tells us. Blood Oath Pact No. 2 is topped with a custom, eco-friendly natural cork, sealed and labeled with certificate-style paper stock signed by John Rempe. New for this release, each bottle of Blood Oath Pact No. 2 will be sold in a commemorative fire-branded wooden box. The Blood Oath series launched in 2015 with Pact No. 1, and will highlight a different variant, or “Pact,” each year. Luxco says Pact. No. 2 has a slightly fuller mouthfeel than Pact No. 1 with an oaky, caramel and cocoa aroma and a smooth flavor. We’ll bring you our review soon on BourbonBlog.com.